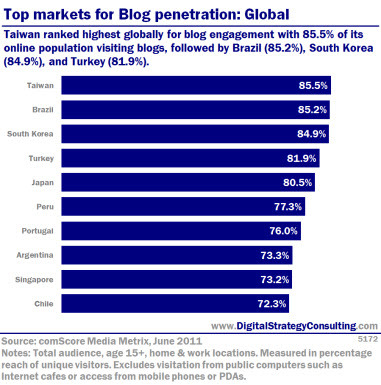 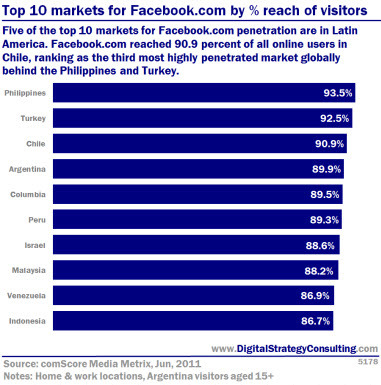 Entries from Digital Intelligence tagged with "peru"
Google, Microsoft and Facebook rank as the most-visited Internet properties in Peru, while portal sites account for one-third of Peruvian Internet users’ time online, according to new data from comScore. 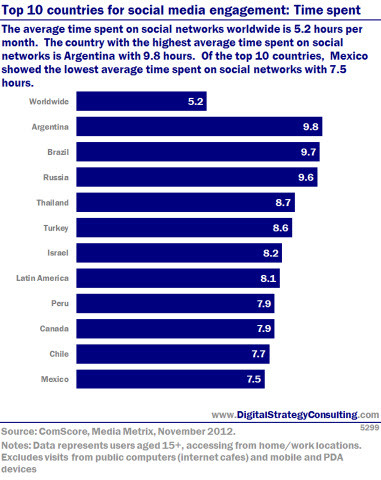 The findings come from comScore’s first public study of Internet usage in Peru based on data from its online audience measurement and media planning service, comScore Media Metrix. 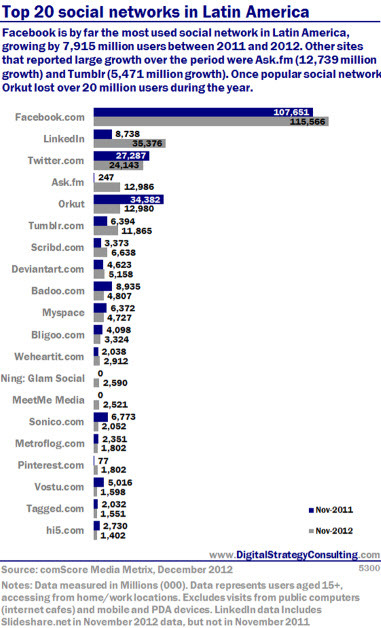 Portals accounted for the largest share of time spent online in April 2011, followed by social networking and instant messengers. 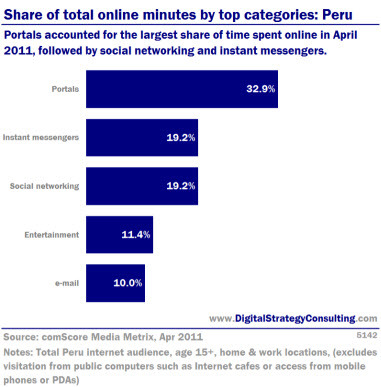 4 million people (aged 15+) accessed the internet in Peru during April 2011, spending an average of 24.4 hours online. 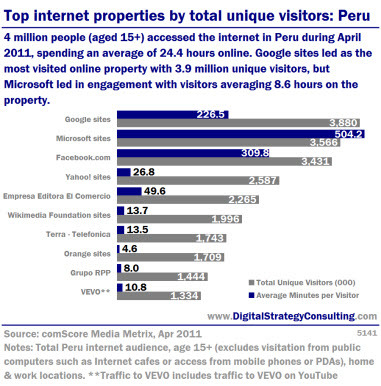 Google sites led as the most visited online property with 3.9 million unique visitors, but Microsoft led in engagement with visitors averaging 8.6 hours on the property.